This curve hugging dress is perfect for showing off prints or color combinations. Knee length hem, straight skirt, semi-fitted silhouette, back invisible zipper. 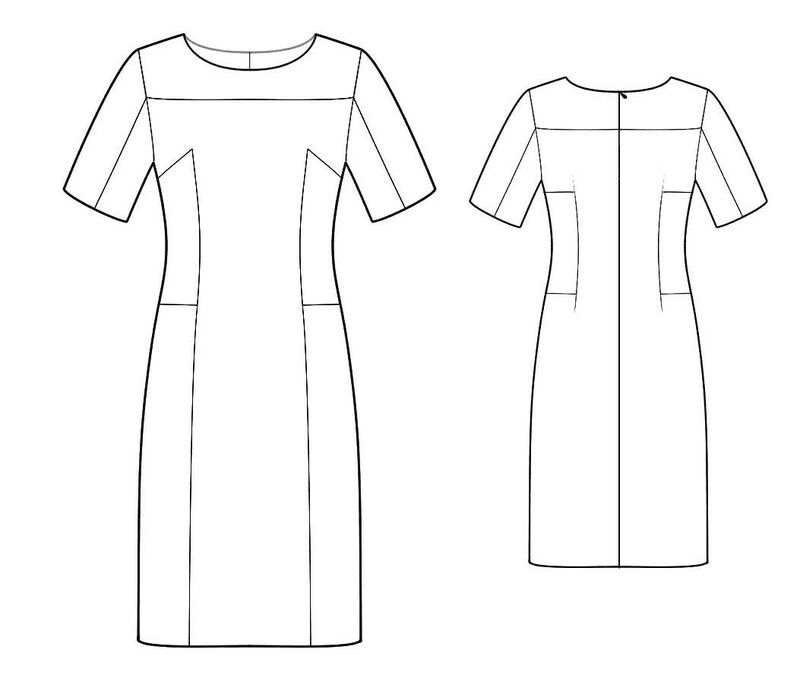 This sewing pattern will be custom fit to your measurements and it will be delivered to your inbox within 15-30 minutes after purchase in a PDF or DXF format. When sewing it's important to match notches and span style="font-size: small;">For exact fabric length print and assemble paper patterns and lay them out on your fabric width (use paper or other fabric as a width guideline, if you do not yet have your exact fabric). Enter your measurements into the appropriate text fields or use your saved ones from your Account Details. Within minutes you will receive a confirmation email that will contain a download file with the printing and assembly instructions link. 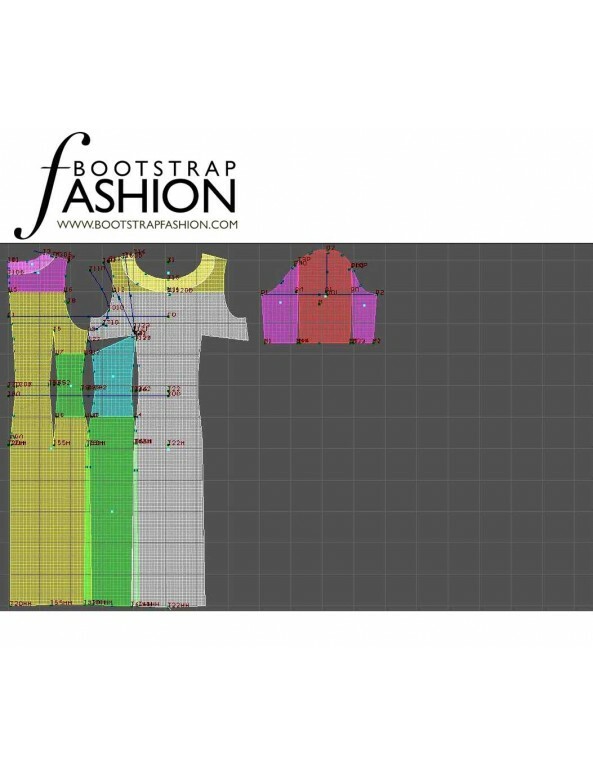 The custom-fit pattern will be emailed to you within 10-30 minutes after you place your order from efashionpatterns.com. Please check your Spam folder if you do not see any emails within this time frame. 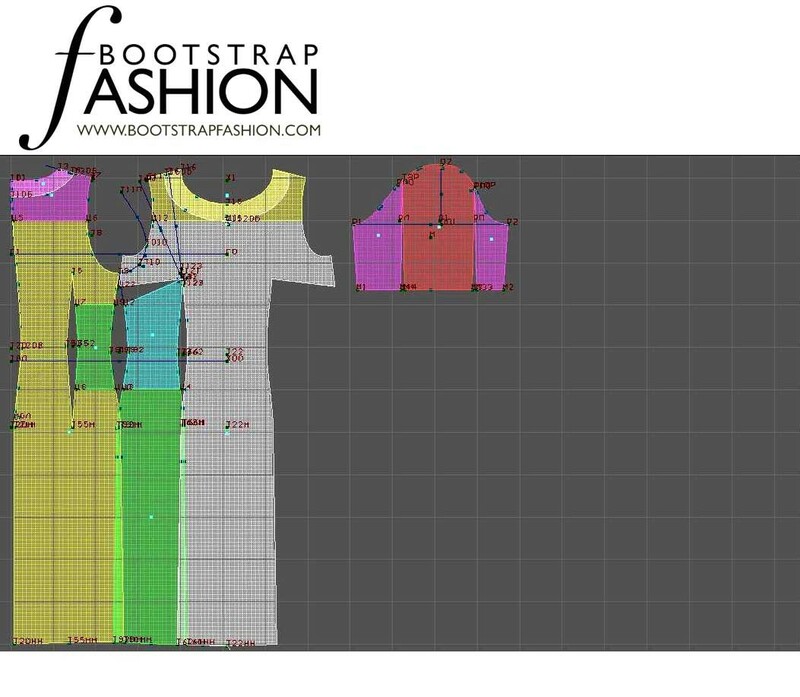 The email will include a technical illustration, and an actual pattern in the format that you ordered. Tip! Did you know that the "Adobe Illustrator PDF" files can also be opened and adjusted in Adobe Illustrator and then printed out on the home printer? IMPORTANT!!! 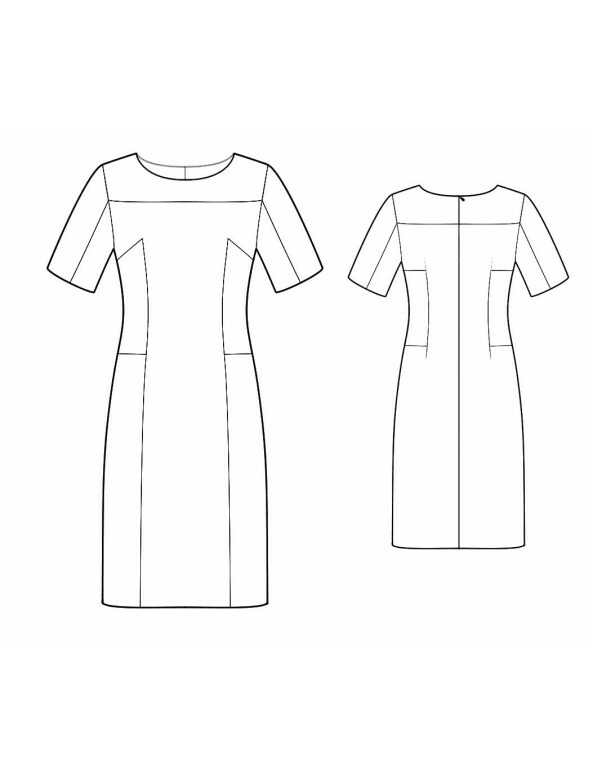 For Plus Sizes we recommend to manually adjust the length for all styles per your individual requirements after you print the pattern out.